Introduce your students to a new generation of Shelly Cashman Series books! For the past three decades, the Shelly Cashman Series has effectively introduced computer skills to millions of students. With HTML: Introductory, sixth Edition, we're continuing our history of innovation by enhancing our proven pedagogy to reflect the learning styles of today's students. Within this text you will find features that are specifically designed to engage students, improve retention, and prepare them for future success. 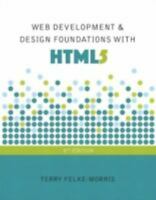 Part of the highly successful Shelly Cashman series, this text provides an introduction to HTML and leads the user through a clear, step-by-step, screen-by-screen approach to learning. 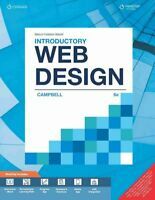 Readers learn how to create a Web page using HTML, format the page, add graphics, and more. 1. Introduction to HTML, XHTML, and CSS.2. Creating and Editing a Web Page Using Inline Styles.3. Creating Web Pages with Links, Images, and Embedded Style Sheets.4. Creating Tables in a Web Site Using External Style Sheet. Special Feature 1: Attracting Visitors to Your Web Site.Appendices.A: HTML Quick Reference.B: Browser-Safe Color Palette.C: Accessibility Standards and the Web.D: CSS Properties and ValuesE: Publishing Web Pages to a Web Server.